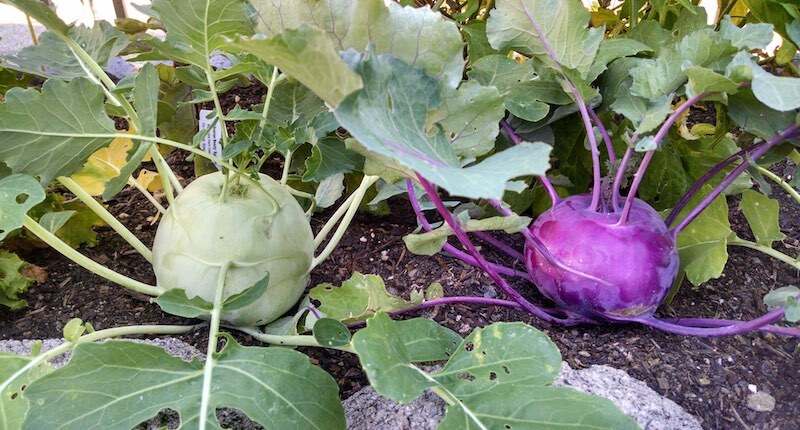 Kohlrabi is a German word for “cabbage turnip”. It is part of the cruciferous vegetable family as with cabbage, broccoli, cauliflower, kale, collard greens and Brussels sprouts. When preparing kohlrabi for juicing, wash it clean and cut it up to the size that fits your juicer chute. No skin to peel. Mixes well with any greens and root vegetables. Why do you prefer to wash veggies & fruit before juicing, instead of storing them already washed? It’s so convenient to have everything ready to juice. Does it make a very big difference? Hi Sara where can I buy this vegetable Kohlrabi? I live in Toronto Canada. Hi Nia, I’ve seen this vegetable at various groceries in Ontario, namely at Metro, Food Basics and at the Chinese groceries.